Constructing St. Nicholas from Meccano parts was not a simple task. 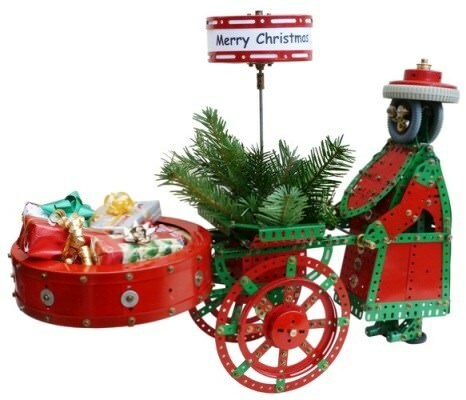 He walks and pushes his street barrow and in the middle of the cart is a deep container for fir branches and above this turns an advertisement with the words "Merry Christmas and a Happy New Year". The model is driven by a No. 1 clockwork motor housed in his body.